In part two of our blog series on skin cancer, Lisa tells us about her experiences with actinic keratosis, followed by a diagnosis of squamous cell carcinoma skin cancer. Our board-certified dermatologist, Dr. Deborah Atkin, offers skin cancer screenings and skin cancer treatment options here at Dermatology & Laser of Del Mar, and can answer your questions about this very serious skin condition. 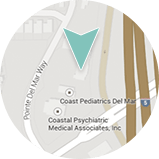 “For a topic that has a definite stigma attached to it I have to say that Dr. Atkin and her staff are significant in helping me with my attitude and approach to treatment. I believe it is their integrity, coupled with their compassion, that is the most important factor to me and my story. I was born and raised in sunny Southern California by a mother who was a baby oil sunbather. I have spent 56 years playing on the beach, frolicking in the waves and, no surprise, the 25+ years of beach volleyball and surfing have caught up with me. My first actinic keratosis (AK) diagnosis occurred approximately 6 years ago, a spot on my face just under my eye was always red and dry. My first treatment plan was a topical ointment to be applied to my face for 12 weeks. After 3 weeks I had a huge black scab on my face and we decided to stop treatment. Dr. Atkin joked with me and said, “You’re an interferon producer.” So I merrily went back to the beach for 4-5 hours of volleyball or surfing 5 times a week. About a year later, during my annual checkup there were more AK spots on my face. The treatment began with freezing the lesion with liquid nitrogen followed by photodynamic therapy with 5 ALA to treat the pre-cancerous cells. Eight minutes under the light was tolerable, it was the 3 days of darkness that was hard. Just walking to the kitchen to get water the first day was a wake-up call and I quickly retreated to the dark room for at least 48 hours. Luckily for me, my boyfriend put construction grade paper over the windows and skylight to keep the light off my face. Advance the clock about 2 years later and I repeated the liquid nitrogen and photodynamic therapy again. Of course my loving boyfriend blacked out my bedroom for me and I was comfortable. Approximately one year after that I had a Fraxel 600 micron (fractionated C02 laser) treatment to remove any pre-cancerous changes in my skin. 24 hours after this treatment it looked a lot worse than it felt. If I was that kind of girl I could have milked it to the hilt! I began using the Skin Medica products shortly after I became a patient of Dr. Atkin. I must say that after each treatment the quality of my skin improved (softer and smoother), partially due to the new skin, but more importantly, the change of products. I use them religiously. At first it was hard to see my body without a tan but those sweet little voices were reminding me of the consequences and all that good money I spent on repairing the damage I had done to my skin. I didn’t want to go backwards so I adjusted my lifestyle. I did not give up beach volleyball or surfing, I just changed when I participate in these activities. I stay out of the direct sunlight between 10 AM and 4PM which means I still surf and play volleyball slathered in sunscreen. I apply sunscreen every day with SPF > 50. I use a waterproof sunscreen when I’m surfing, even for dawn or dusk sessions. I seek out an umbrella or the shade of a tree whenever I’m in direct sunlight during peak hours, I love my new skin and I can’t let Dr. Atkin down (she has a stellar reputation to maintain, and I don’t want to be the one to tarnish it!). 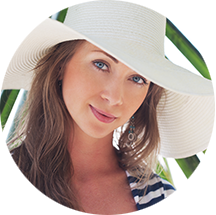 If you would like more information on skin cancer and treatment options from Dr. Deborah Atkin, please contact Dermatology & Laser of Del Mar today.